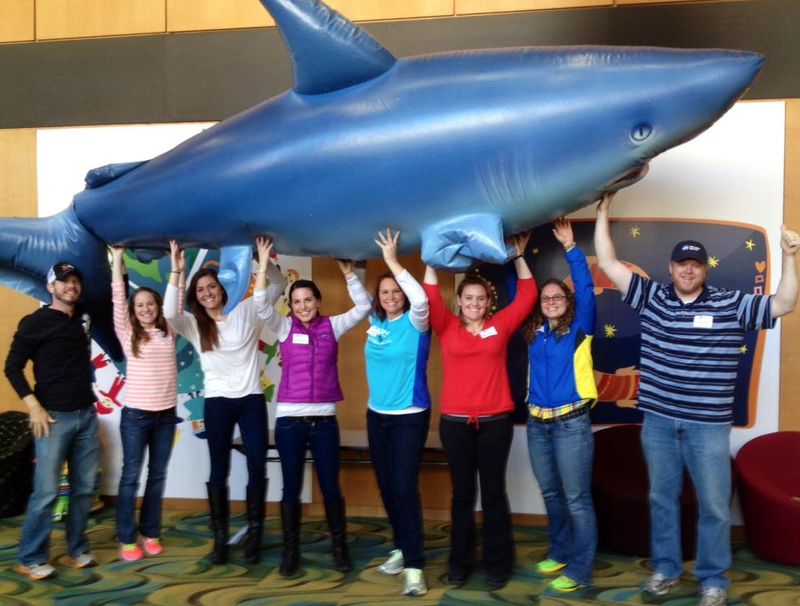 It's not all training and no fun for the runners on the New England Aquarium Marathon Team. 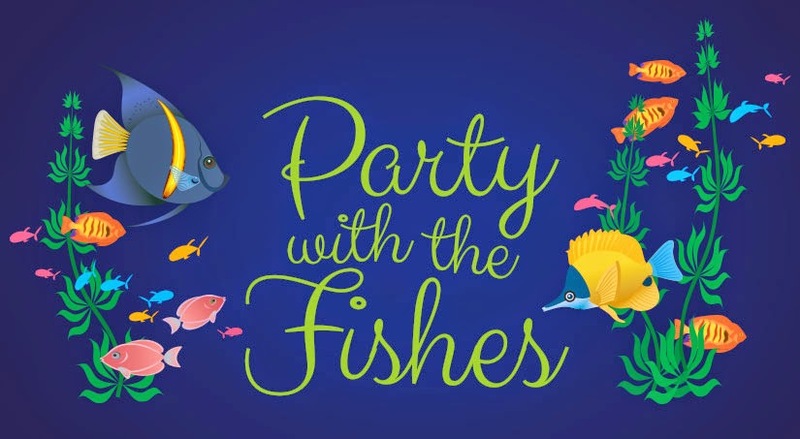 In fact, this weekend the team is injecting some fun into their fundraising efforts with a fête right here at the Aquarium—and you're invited! Tickets for this fundraising party can be purchased online for $35 per person with the proceeds going toward the team (or the runner you choose in the drop-down menu). Join us Saturday, March 7, buy tickets today! And later this month, the team will find out what their fundraising supports! Local runners will be participating in a community outreach event at Norwell Public Library educating kids about whale bones, how whales eat, how we study whales, comparing different species and sizes and how we identify whales. 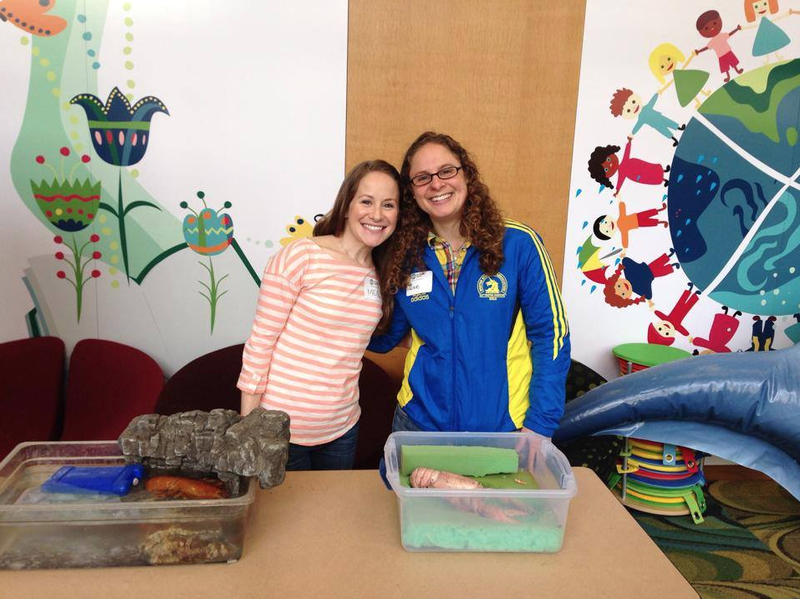 If kids in the Boston area cannot get to the ocean, we'll bring the ocean to them! Meg and Lee are returning runners. Here they at last year's event! Hope we'll see you this weekend as we Party with the Fishes on Saturday. If you live in Norwell, maybe we'll see you at the public library later this month, too! We'll post more updates about our marathon team as the April 20 race day approaches, stay tuned. Support the New England Aquarium Marathon Team. Start your Duck Tour at the Aquarium!